Meet your 2018 Diversity Symposium Leaders! A source of Synchrony’s strength is the diversity of its business, people and ideas. Our inclusive culture fosters teamwork and innovation to help the business and our people grow. Synchrony’s Diversity & Inclusion Networks provide a great platform for community outreach, external recruiting and facilitating professional development and networking opportunities for employees which enables the Company to develop talented leaders. Christy is a VP in the Customer Care Organization. She is focused on driving Voice of Employee initiatives and using analytics to deploy knowledge management strategies in an effort to reduce customer and associate friction points. Christy acts as a Senior Advisor for the Kettering Women’s Network + and has been a long-time participant in the African American Network + mentoring program with a local school. 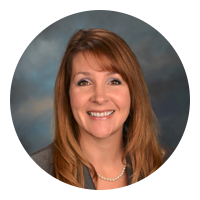 Christy started her career with GE/Synchrony in 1999 as a Customer Service Associate with the Walmart portfolio. Since that time, Christy has held a variety of customer facing and client facing roles and gained multiple critical experiences through cross-functional roles within Governance, Change Control and Enterprise Operations. Christy is a graduate of Wright State University and is currently pursuing her MBA. Carlos is the Vice President of Customer Experience Innovation within the Enterprise Customer Engagement team in Synchrony. He leverages the power of data analytics and technology to design and implement end-to-end customer experience strategies in partnership with each platform and function. He is also the communication leader of the Hispanic Network + for the Stamford site. 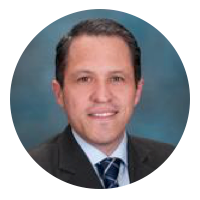 Carlos joined Synchrony in 2014, as Vice President of Treasury Risk where he was instrumental in leading and monitoring the Credit, Market, Operational, Funding and Liquidity risks of the Treasury function. Prior to Synchrony, he was a finance director with American Express holding different roles as the leader of the Counterparty Credit Risk team and as the director of the Comprehensive Capital Analysis and Review (CCAR) team. Prior to American Express, Carlos led number of international consulting positions with Deloitte, PwC and Capco, helping different financial institutions to achieve strategic goals. Carlos grew up in Venezuela. He has lived and worked in Europe, Asia, Latin American and in the U.S. He obtained his MBA in International Business from the Asian Institute of Technology in Bangkok, Thailand and a Master in European Business at the ESCP-EAP in Oxford, UK.